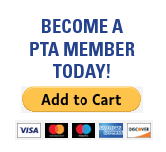 Your PTA is in need of your help for Kindergarten Orientation on Thursday and Friday of next week. If you are able to assist for as little or as much time as you can, please reply to me at 1kirianv@gmail.com . Proud parent to 4th grade OV student.